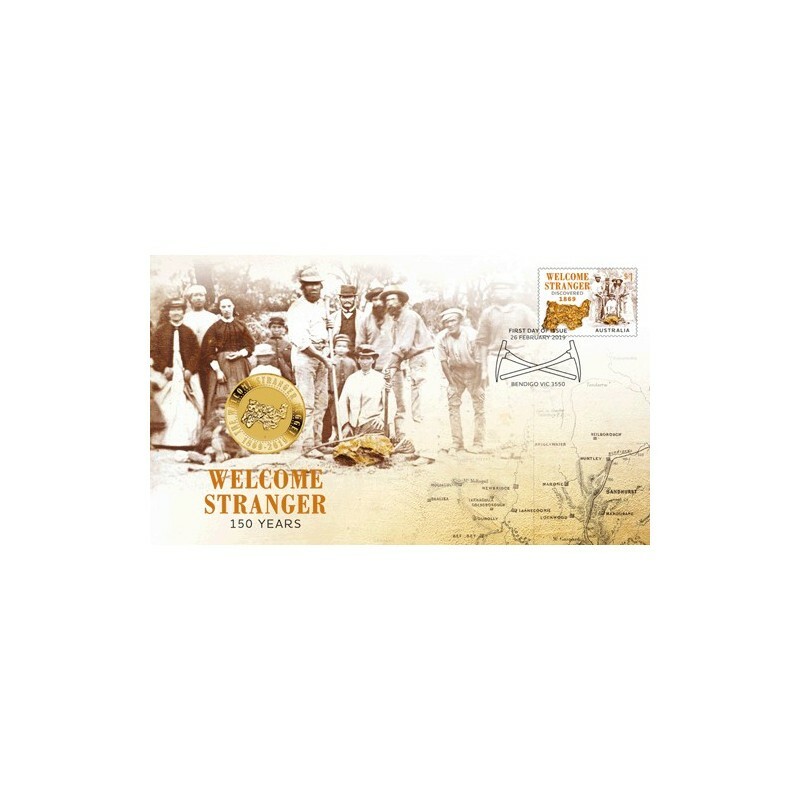 2019 $1 Welcome Stranger Coin & Stamp Cover PNC. 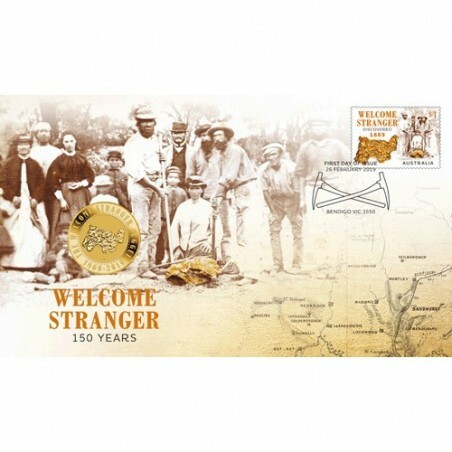 The Perth Mint and Australia Post have just released this Welcome Stranger coin & stamp cover, marking 150 years since the discovery of the Welcome Stranger gold nugget. The world-famous Welcome Stranger nugget is the largest-known alluvial gold nugget ever found, estimated to weigh a total of 72 kilos and containing almost 2,300oz of gold. After its discovery in 1869 it sold for about 10,000 British pounds, which is the equivalent to AUD $3-4 million today. The coin's reverse features an illustration of the Welcome Stranger nugget by the renowned Stuart Devlin, along with the inscription 'THE WELCOME STRANGER NUGGET 1869-2019' and The Perth Mint's 'P' Mintmark. Postmarked First Day of Cover 26 February 2019, Bendigo VIC 3550.